You feel you are stagnant where you are and need a career boost. You feel disgruntled but do not know what to do. You think, life is tough, work is tough, and bosses are tough. Wanting to quit is tough, quitting is tough, and staying at a job you do not enjoy is tough. Everything is so tough, ever wonder why aren’t you tough? Having gone through so much wouldn’t you think it has toughened you? Just when you feel like giving up - DON'T. Here are some tips to give tough people like you a career boost and get excited about work again. Find benefit in challenges that you face. They play a very important role in making you better, wiser and in your search for your purpose in life. Put challenges in context in your life. Do not complain and feed negative thoughts arising from the appearance of challenges even if challenges are relentlessly appearing and does not abate. They are there for a reason. Learn from these challenges. If you don’t face them here, you will face them somewhere else soon enough. When you learn from hard lessons, it propels you to the next level regardless if you succeed or otherwise. If you succeed, learn what works and the confidence it taught you. If you do not succeed, learn why it didn’t and how you can improve on it the next time. There is benefit in challenges. Find it and embrace it. 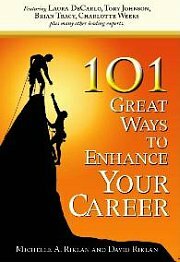 It will give you a career boost. A lot of us know the ingredients for success. We read, watch and observe. But somehow putting it into practice is a different story. It becomes difficult. To succeed a mere wanting is not enough. You must have a burning desire to succeed. Otherwise, you will lack clarity and be muddled by confusion. Remember to focus. You must learn to adjust yourself in the path to success. It is not always straight and it is not always smooth. For so long as you focus and remember there is hope and you can get there, you will succeed. Having the burning desire to succeed will give you a career boost. Whatever you want to do and succeed in, you have to keep doing. Persistence and patience are two key values that will help guide you on the road to success. There are no shortcuts in life. That which is not earned by hard work is prone to be squandered by misuse. If you want to get a career boost, you need to keep doing and not give up. We live in a cynical world where everyone thinks being cynical is cool. We deal with people thinking there must be an ulterior motive in everything they do. When everyone does this it starts many vicious cycles. How does it stop? We stop it by thinking good of everyone. There are people out there who think win-win and there are people who really want to help without wanting anything in return. Be fair to them because you will never know if they are truly helpful and sincere if you look at them with tainted glasses. When you think good of everyone, people think good of you too. You start a positive cycle. People around you generally feel better. Give your career a boost by putting these into practice. It will not be easy but when you do it often enough the benefits will show. And you will get that career boost. Here are 4 easy steps to help you boost your career.